Can I Apply for Georgia Unemployment and SSDI at the Same Time? With the recent downturn in the economy, I sometimes represent disability clients who stopped working because of both a chronic medical problem and a layoff. Recently, for example, I represented a client who had been handling media relations for a large company before being laid off because of a lack of business. During the last 18 months of her employment, however, she had been struggling with several serious medical issues including uncontrolled diabetes and associated numbness and tingling in her hands and feet, a bulging disc in her neck and depression and anxiety for which she was taking strong medications. As she described her last few months of work to me, she was missing time from work and her job performance was not good. At the same time, she had been employed with the same company for over 18 years and she acknowledged that her employer probably could have terminated her for performance issues but did not do so. After losing her job she made a half-hearted search for new employment but she felt that she did not have the capacity to perform at any job for 8 hours a day, 5 days a week. In other words, she was able to hang on at the prior job due to a combination of familiarity with that job and familiarity with her employer, but a new job with a new employer would have been more than she could handle. Because she was laid off, she filed for unemployment benefits at the same time she filed for Social Security. How do Social Security judges handle this conflict? In my experience, judges seem less concerned than they used to about a disability claimant who applies for unemployment. Years ago, judges would ask claimants to explain how they could be both disabled, and ready, willing and able to work. Now, disability judges seem to understand that when a claimant is looking at 2 to 3 years of delay on the part of the Social Security Administration, he will look for any legitimate source of income, including unemployment. 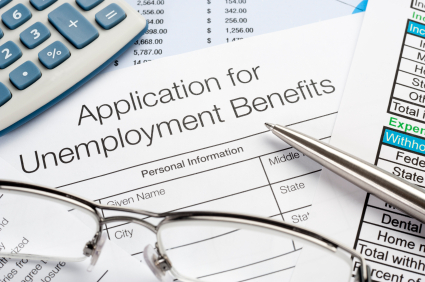 Vaughn indicates that in North Carolina the unemployment office may seek to recover benefits paid for any dates in which disability is paid. I have not seen this issue arise in Georgia, although it certainly could. Vaughn has had similar experiences as me in finding that judges are more likely to push the onset date forward when a claimant stops work because of a layoff. In my experience, judges will look for some support in the medical record – such as an MRI report or a specific office visit – to find an onset date. In other words, in my client’s case, the judge asked me if we would amend our onset date from the date of the layoff to the date of an MRI that showed a bulging disk. In my case, there was no impact of benefits payable but I have seen cases where the onset date for a finding of disability is 18 to 24 months after the original claimant onset/layoff date. In my practice, I tell my clients that if their onset date is the same as a layoff date, there is a good chance that we will need to be prepared to amend our onset date to a later date that coincides with some medical support.